We are a motorcycle friendly campground. We are a biker friendly campground offering tent camping, but we also have nightly deluxe RV rentals with luxury amenities, and camping cabins. 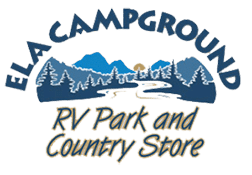 We are a full service campground with RV sites with full/partial hook-ups. Monthly – River Sites $625 $450 n.a. – Camping cabin and site rates are based on 4 persons. Extra person charges – per person/day: $5 for campsites and $10 for cabins. – Cabins do NOT include linens, dishes, silverware or kitchen utensils. Linens can be rented for $25.